It is rarely good practice to form an opinion of a place before you’ve even visited it, but sometimes it has a positive effect that improves an experience no end. 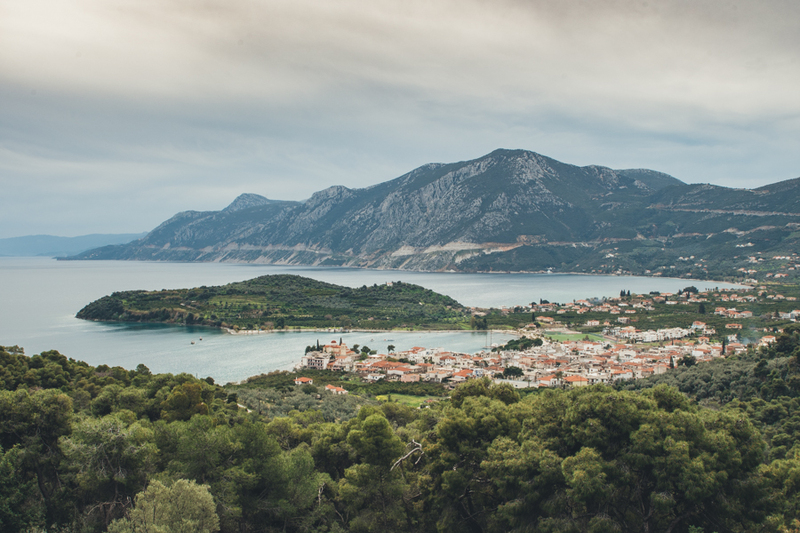 Greece, for example, was not at the top of our bucket list driving destinations. In fact, it had barely even registered. Images of choking Athens traffic and fiddly island hopping sprang to mind whenever the destination was mentioned… which – and let’s be honest here – was hardly ever. 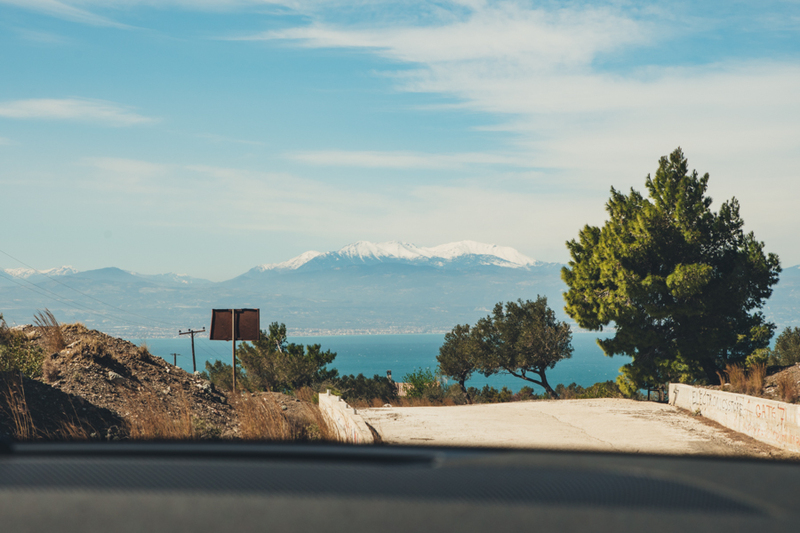 Alas, we couldn’t have been more wrong and the drive along the coast towards our final destination at the staggering Amanzoe hotel will forever be seared into the memory banks. Twisting mountain roads and switchbacks that could easily double as the perfect backdrop for the next 007 film are not exactly the natural habitat of a Range Rover Evoque, but like the destination itself, the car proved just as surprising. Our first meeting with the new Range Rover is at the Sofitel attached to Athens airport. The morning sun beats down on a line of cars and we are handed the keys to a 2.0-litre turbocharged petrol model (with some additional trick mild hybrid technology bolted on for good measure) and told to head for the coast. 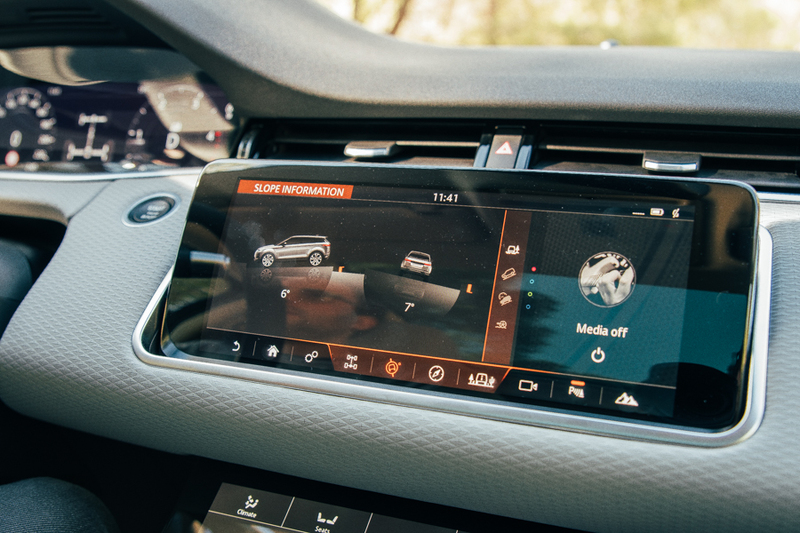 A quick glance around the cabin reveals that the general consensus amongst Land Rover engineers and stylists was to start again from the ground up. New Evoque may look like it shares many stylistic cues with the vehicle it replaces, but dig a little deeper and you’ll realise this is very much a new proposition, boasting a box fresh architecture, revised powertrains and an interior that shares very little with the outgoing model. That’s probably a good thing, because anyone who has spent some time with the previous model will likely admit that the compromise for such avant garde SUV styling and inner-city chic is a driving experience that failed to excite, clunky interior technology and overall refinement that generally fell short of the full fat Range Rover experience. Thankfully, this has been well and truly remedied, with the addition of some truly clever technological firsts and the promise of plug-in hybrid powertrains proving Range Rover’s commitment covering all customer requirements and tastes. We hit the E94 as soon as possible in order to avoid some of the legendary morning traffic, committing the first slice of the journey to motorway in order to dispatch of the big city. Initial driving impressions are extremely good and new Evoque certainly rides and handles like a more mature proposition. The quiet in the cabin and the equally hushed tones from underneath the bonnet make it feel more akin to a proper Range Rover product than ever before. It is not long before the E94 transforms into the smaller and slightly more interesting Autoroute 8, which in turn transforms into the 7. 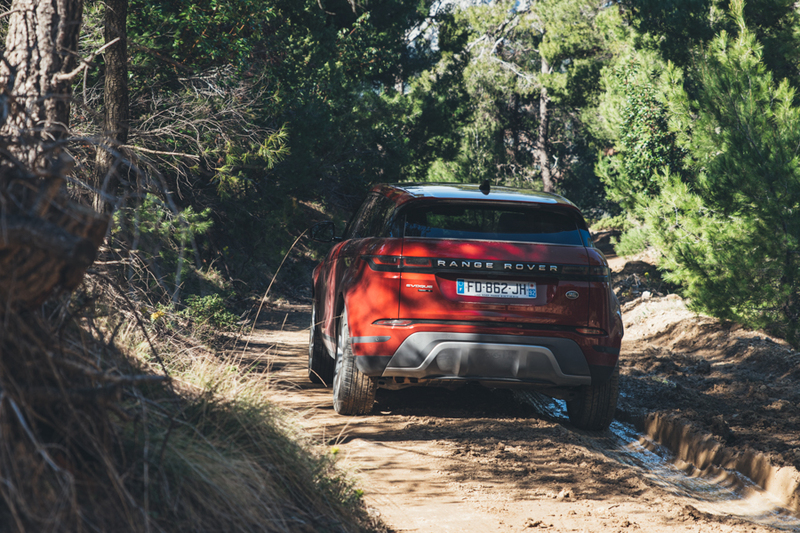 We swing off the main road in for our first coffee break and the first real test of the Evoque’s off-road capability. The track leading up to a picturesque church at the top of a steep hill is rutted and dusty but proves no match for the clever Terrain Response 2 technology, which is happy to sit Auto mode and detect the surface and grip levels, pumping power to the correct wheel at all times. 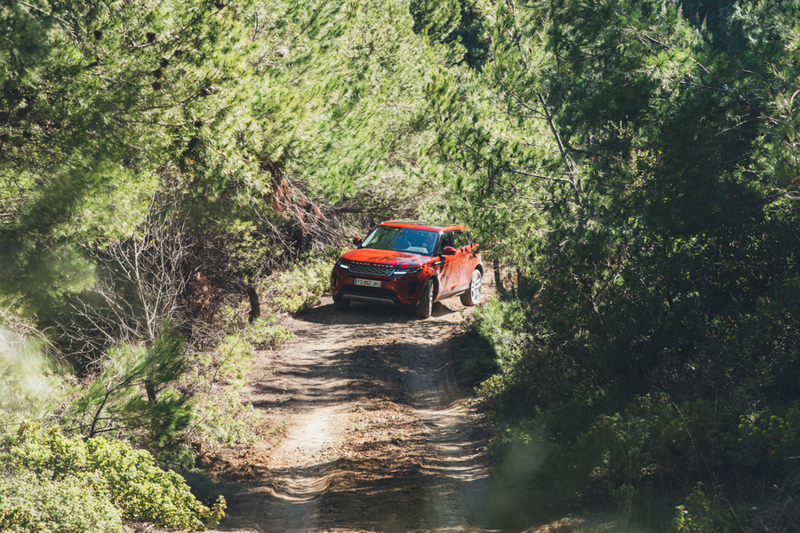 After the briefest of coffee stops, we jump back in the Evoque and traverse a more challenging off-road route that leads down the other side of the peak. 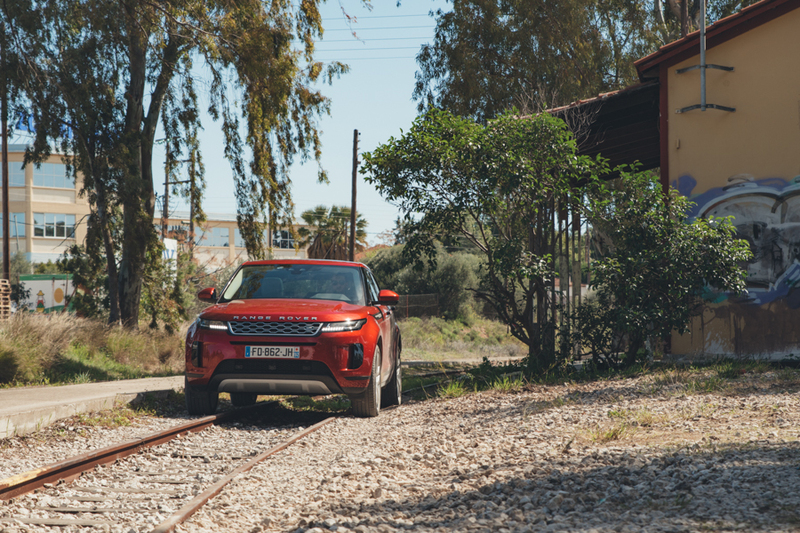 Slippery mud, protruding tree stumps and a deep water section demand slightly more from the all-wheel-drive technology, but Evoque handles it with aplomb. There are streaks of mud plastered up the flanks but it doesn’t stop a few locals from poking around the stylish SUV as we park up to take some snaps. Arguably the fewest changes have occurred on the outside, where the general recipe has been refined and exaggerated in equal measure. Gone is the clunky cladding from the wheel arches and fussy curves, as we welcome in a cleaner, more powerful shoulder line and a squat, more athletic presence. The exterior is generally less chintzy than before, with the lovely pop out door handles carried over from the Velar giving a locked Evoque beautifully clean surfaces, super-slim Matrix LED headlamps and sweeping indicators adding a premium touch, optional and very on-trend burnished copper accents bringing the fashionable element and massive 21-inch wheels striking a serious pose on the road. If the previous, Victoria Beckham-inspired model was a Longchamp tote bag, this update is more Chanel – simple, refined but classy. 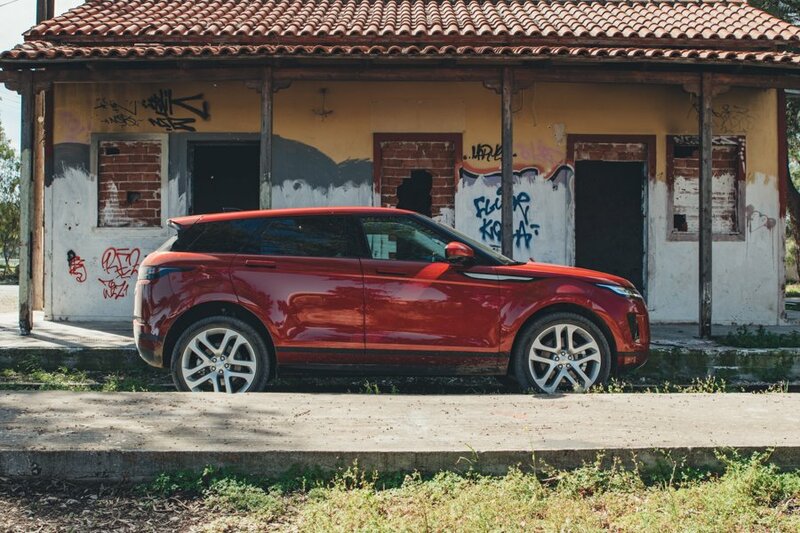 Remarkably, it hasn’t lost that classic Evoque DNA and because 70 per cent of its customers live in urban areas, the engineers were under strict instructions to keep the proportions broadly similar, so exterior dimensions and footprint remain largely unaffected by the new threads. 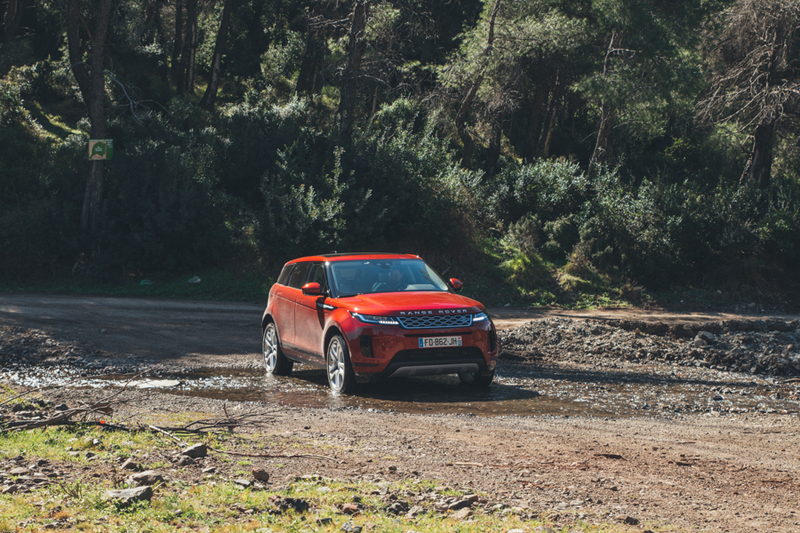 Given its predominantly urban natural habitat, it comes as a bit of a surprise that the smallest Range Rover of the bunch receives some of the brand’s most exciting off-road tech. To combat the slim line rear window (you can thank the coupe-like exterior lines for that), the marque has come up with a clever rear-view mirror that handily switches from regular reflective surface to extremely clever rear-facing camera feed. Dubbed ClearSight, this technology can be activated by flicking a switch underneath the regular glass mirror, which activates a HD screen overlay. Although handy for tricky parking manoeuvres, the camera does feel a little distracting when first using it on the road at speed. On top of this, there’s a lack of digital overlay that suggests where the rear of the car is located, so judging distances can be a tad tricky, but this gets a bit easier with time. But more impressive still is the Ground View technology, which takes a feed from a camera located in the bonnet and two units embedded in the door mirror to create a live feed of the earth underneath the car. By digitally overlaying the wheels, it makes it possible to sight tricky kerbs and obstacles, as well as avoiding any large boulders that threaten to attack the bottom of the car. 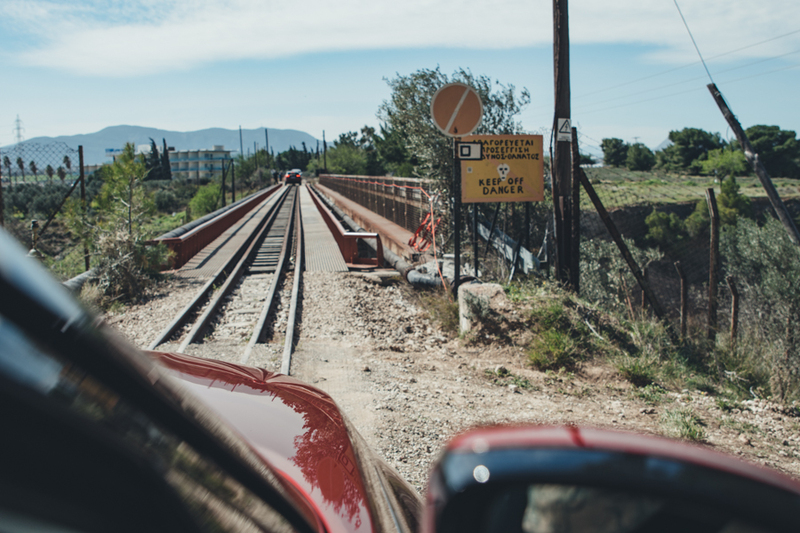 We put the kit to the test when Land Rover officials pointed us in the direction of a disused railway and instructed us to use the cameras in order to keep the pristine alloy wheels from striking the rusty iron below. Things got eve hairier when this abandoned railway track traversed a bridge that suspended perilously above a deathly drop, all the while Ground View technology reminded us of the danger below. Thankfully, the route becomes decidedly obstacle-free as we head for the coastal roads around Kilada. 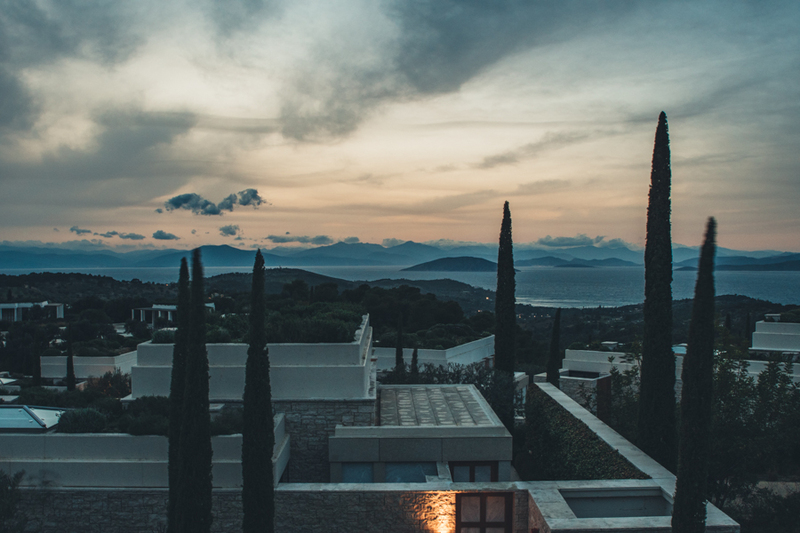 Tarmac hugs the coast as it winds up and down the picturesque hillside, offering views of Saronic Islands that lay in the pristine blue ocean opposite the luxurious Amanzoe hotel. All engines with an automatic transmission are now mated to 48V mild hybrid technology, which harvests energy normally lost during deceleration thanks to the engine-mounted belt-integrated starter generator, and stores it in the under-floor battery pack. At speeds below 11mph, the engine will shut off while the driver applies the brakes and when pulling away, the battery will power a small electric motor to help with acceleration. The system is barely noticeable under normal driving conditions but it helps lower CO2 emissions and generally improves fuel economy figures. Although the more powerful petrol engine still only managed around 30mpg during our twisting run. Where the previous generation would have complained at the first sight of a corner, this all-new architecture offers a much more engaging drive, without sacrificing comfort or refinement. Granted, the steering feels a little vague but the new Evoque offers bags of grip and can be genuinely fun to when the roads open up. The remainder of the drive threads through olive groves and traverses one final dusty path up towards the grand turning circle of the hotel. Anyone familiar with the Aman hotel group will understand the levels of sophistication they offer. But here, with the Grecian architecture and vistas out across a channel choc full of beautiful little islands, it’s akin to a small slice of heaven. The new Evoque looks right at home in these opulent surroundings and wears the Range Rover badge with pride. It feels more like a proper grown up product than it ever has done before.